In the past few months, it’s become almost customary to start this column with news from the Saddle Creek Records camp, whether to commend the new Sam Evian and Hop Along albums, or to discuss the signing of a new artist like Tomberlin or Stef Chura. The trend won’t end this month, either, as Saddle Creek added Portland rock singer-songwriter Katherine Paul, aka Black Belt Eagle Scout, to its roster. Like the label did with Young Jesus’ and Stef Chura’s latest LP’s, Saddle Creek will re-release Black Belt Eagle Scout’s debut LP Mother of My Children — which came out originally in August 2017. Album opener “Soft Stud” was released as a teaser track on July 16 and is a six-minute, slow-building song that rides Paul’s reverbed vocals and a churning bass groove up a mountain of chiming guitar leads to arrive at something resembling dream-grunge-pop-post-rock, if you could call that a thing. Paul’s vocals expressing queer relationship ambiguity take precendent over the instrumental at the track’s beginning, until they fall away near the halfway point and Paul and her band jam on the riff until they decide they’ve had their fill. It’s sonically dense and unlike anything else currently on Saddle Creek. The re-release of Mother of My Children is out Sept. 14. As Nebraska’s two largest music festivals announced their lineups in quick succession in April, seemingly in conjunction, Maha Music Festival and Lincoln Calling dropped big news on the same day — July 20. First, just under a month before showtime, Maha released set times for its tenth-annual festival — its first spanning two days. Action starts on Friday, Aug. 17 at 6 p.m. with Omaha Americana group Clarence Tilton, followed by dance-pop band State Disco, New Orleans folk singer-songwriter Hurray for the Riff Raff, Virginia blues rocker Benjamin Booker, R&B artist ZZ Ward and capped by headliners TV on the Radio at 10:30. 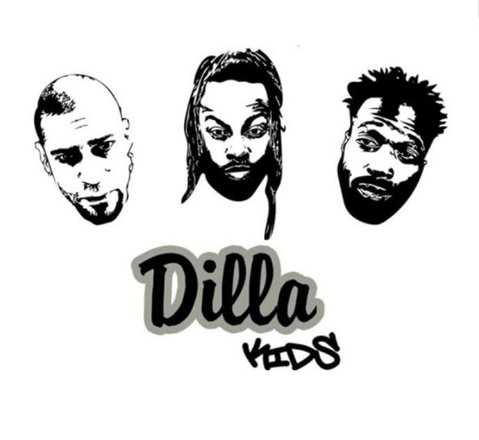 With a smaller bill and just one of the festival’s top-tier acts, it would be fair to call Friday Maha’s warm-up, but afterward you’d better be ready for Saturday, which puts an energetic foot forward when Omaha hip-hop collective The Dilla Kids put the festival in gear at 12:30. Omaha rocker David Nance comes next, then 4AD Records pop project U.S. Girls, Lincoln’s Mesonjixx — with a special performance from Omaha Girls Rock — then Saddle Creek sweethearts Hop Along, Chicago vocalist Ravyn Lenae, art pop duo Tune-Yards and UK garage band The Kills. Critically heralded songwriter and ex-Fleet Fox Father John Misty and Cali power pop legends Weezer make up Maha’s one-two punch to close things down. As is custom at Maha, sets are traded between the main stage (dubbed the “Decade Stage” this year) and Stinson Park’s permanent stage (the OMNE Partners Stage). Tickets are still available, for $35 on Friday, $70 on Saturday and $95 for both. Now, on to the Lincoln Calling news. The festival set for Sept. 19-23, now in its 15th year, announced an impressive preliminary lineup back in April, boasting headliners Parquet Courts, Japanese Breakfast, Waxahatchee, Lion Babe and Leikeli47, despite local music nonprofit Hear Nebraska handing away the reins after two years at the helm. The initial lineup announcement included around 30 artists, but on July 20, that number ballooned to well over 75, with bands like Criteria, BXTH, Laughing Falcon and Joey Dosik of Vulfpeck jumping on the bill. Scheduling and venue information will be released in mid-August, but tickets are available now for $40 at lincolncalling.com, where the full lineup is available as well. Though it’s expected that Omaha and Lincoln are able to suitably cultivate the arts communities, it’s not always a given — especially in the DIY music scenes. Venues come and go, and too often, the scenes rely on a small number of organizers who can only book free shows for so long. After the demise of Omaha venue Milk Run last summer, the scene was left without its crown DIY space, which had played host to touring acts like The Hotelier, Frankie Cosmos and Pinegrove and countless local bands in its nearly two-year history. There was an undeniable hole in the scene once Milk Run was gone. But a group of scene promoters are hoping to fill that hole with a newly opened Omaha venue called POP20, which gets its name from the nearby 20th and Poppleton intersection. One of the forces behind the space, Anissa Romero, said the DIY scene was on hold after Milk Run shut down, which was one of her main motivations to start up a new venue. So far, POP20 seems to be filling part of the void Milk Run left, as the space held five shows last month after launching on July 5, with genres as varied as death metal and bedroom pop. Under the direction of Romero and Omaha musician/DIY devotee Miguel Rocha, POP20 seems to be in promising hands, and with it, the rest of the Nebraska DIY community. Follow POP20 on Instagram to keep up with events at the new venue. Somehow, I’ve been writing this column for a year now, and while that doesn’t seem possible, I see it as a privilege. If you’ve made it this far in the column, I want to leave you with a reminder that music news doesn’t exist without a vibrant local scene to back it up. And that scene could always use more support. So, whether it’s in a basement or at The Waiting Room, check out a show this month and help the Nebraska scene continue to thrive.